Haemophilia A is one of the most important inherited disorders of haemostasis in Havanese Dogs. The underlying pathomechanism of Haemophilia A is a lack or decreased activity of factor VIII that plays a critical role in the coagulation cascade. Affected dogs present with hemorrhage that can vary from mild to severe depending on the degree of the disease. The clinical signs include haematomas of large sizes, bleeding of the nose, skin, muscles and joints. If the disease is severe and no precautions are taken, affected dogs can bleed to death after surgery or injuries. 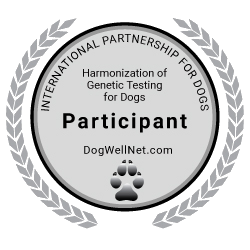 Genetic causes for Haemophilia A have been described for some cases in the German Shepherd, Old Englisch Sheepdog and Boxer as well.